Arthritis / Osteoarthritis is a normal degenerative, inflammatory joint condition that can effect any of our joints. It is most commonly seen in people over the age of 50 (however, can effect younger people) and can vary in severity depending on the amount of overuse/ strain, number of injuries and the severity of injuries the joint or surrounding joints. It often presents with stiff aching joints, some people report hearing and feeling creaking/ crunching noises from the joints (crepitis) and some people report loud audible clicks. There are several classifications of arthritis and the treatment for each case is individual assessed and tailored to them depending on the severity and classification. Some common types of arthritis include "osteoarthritis", a normal degenerative joint condition seen in the elderly or as a result of chronically overused and severely injured joints in younger patients. 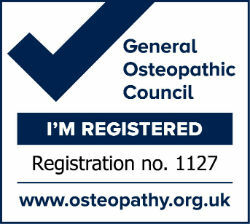 Symptoms can be eased with osteopathic treatment along with advice about joint supplements, diet and exercises. Rheumatoid Arthritis (RA) is an autoimmune condition that can affect any joint in the body. It is more serious in its presentation as the extent of joint damage can be greater due to the way the body attacks and breaks down its own cartilage and ligaments. Most patients with RA will have seen a rheumatologist for a diagnosis and medication. After the acute inflammatory stage has eased then osteopathy can be very good to help mobilise the effected joints, decompress any stiff spinal joints and ease the muscular tension and pain in the surrounding areas. Osteopathy can greatly help by taking the pressure off effected joints and allowing other joints to take any extra strain and pressure. There are many more arthritic joint conditions that have not been mentioned here, however, osteopaths are familiar with most types and can often greatly ease suffering and give useful self management advice including tips about diet and foods to avoid, lifestyle and exercise and joint/ dietary supplements to reduce the frequency of a relapse and help ease pain when the arthritis is active.